Time – It is a limited commodity and people, especially parents in business, struggle to get a handle on time management strategies that will work best for them. The truth is, that the way you manage your time today determines where your future will be. Will you reach the dizzy heights of business success and great relationships at home or will you remain in the snail’s trail of no business or even worse, you might reach business success but lose all the relationships that mean anything to you. If you do not get a handle on how you spend your time now, nothing good can come of it. We all know that but it can be challenging to get it right. So what 3 tips can I give you today before I do a full blown intense webinar next Tuesday at 8pm which will give you major insights on moving from Angst and overwhelm to better action, greater productivity, more peace & fulfilment. Find out more here. Each week, possibly on a Sunday, spend a little time thinking through the following week and get a hold of your calender – I love the Google Calendar personally as I can sync it with all the members of my team. Chunk out the times that you want to spend with your family – Make this a priority or else it may get swallowed up in the busyness of everyday entrepreneur life. Some people think that they do not want to treat their family like a business activity by allotting time to them but the truth is, you end up spending no time with them unless you choose to pro-actively block out the time. As a home educator and woman in business, I have had to do that or else I get caught up in business ALL THE TIME and my princesses suffer. Be Wise, Prioritize! Then go on to think about other things you need to do for instance, phone calls, emails, general administrative work, liaising with your team, networking, marketing tasks and anything else you have to do on a weekly or daily basis. Block that time out for each group of tasks. I would also suggest that on a daily basis based on how each day has gone, you tweak the next day to further suit your ‘To Do’ List. So spend a little time in the evening or first thing in the morning, planning the day. Use the One Touch Method of dealing with everything. This is the ultimate in simplicity. For instance – If you decide to look at an email, then do whatever is necessary to get it done, dusted and out of your life. That may be to delete it, respond to it, delegate it, get more information on it. Do it right then and there. This means it is no longer on your mind. The same goes with anything you make a start on. OK, if you are like me, you may have children distracting you in the middle of it – In that case, ensure you come right back to it and conclude it for the time being after dealing with the person right in front of you. You can get caught up in busy work that is not getting you anywhere near your goal. And this is when you start to feel a bit frustrated with the lack of progress you are making. At times like this, knowing exactly how much your dithering is costing you could make a world of difference. So tell me, if you were in productive work, how much is each hour of your life worth? Calculate it in physical, monetary terms and tell yourself just how much you are losing by not putting appropriate strategies in place. Maybe, it is even costing you the relationship with your family because you are doing sooo much at work and spending no time with them at all or you are always divided in your time so you are never fully present in the moment. What of your health? 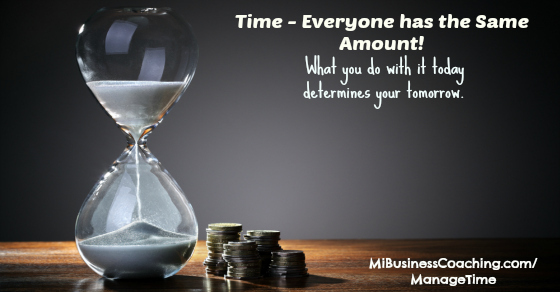 How much is it costing you to be permanently stressed, busy and overwhelmed? What of your future? Are you creating the life you want or are you just falling into a life you hate but cannot escape from? Book Your Spot by clicking the paypal button below.